An apocalyptic, genocidal death cult is in power in Iran. The mullahs in Tehran believe we are living in the end of days and that the way to hasten the coming of their so-called Islamic messiah known as the Twelfth Imam is to annihilate Judeo-Christian civilization as we know it. I’ve been writing and speaking about this for years, trying to help the West understand how a fanatical version of Shia End Times theology is driving Iranian foreign policy. Now we have fresh evidence that this is not fiction; it is all too true. Kahlili, as you may recall, is now an American citizen and is the author of a book about his life in the CIA. Last year, in an article Reza published on his blog and sent out around the world, he renounced Islam and explained that he had become a follower of Jesus Christ. Reza’s latest article is important and I encourage you to read the full version. You should also watch the video at the end of the article that is an excerpt from an Iranian documentary called “The Coming.” It explains how recent geopolitical events are, in the view of Shia eschatology experts, signs that we are living in the last days and that the Twelfth Imam or “Mahdi” is coming to earth at any moment to establish a global Islamic kingdom or “caliphate” to rule the world. 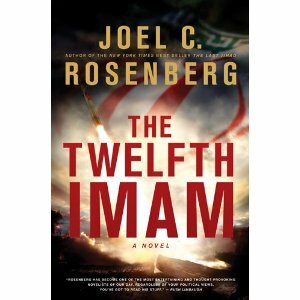 As I explain in my two recent novels, The Twelfth Imam and The Tehran Initiative, Shia Muslim leaders are convinced that the Mahdi’s arrival and reign is imminent and that the way to hasten or accelerate his return is to either: A) annihilate Israel (which they call the “Little Satan”) and the U.S. (which they call the “Great Satan”); or B) to acquire the nuclear weapons and ballistic missiles necessary to annihilate Israel and the U.S. and then let the Mahdi finish the job when he arrives. These two recent novels explore what it would look like and feel like if the Iranian leadership’s vision of the future were to begin to come to pass. As a follower of Jesus Christ, I know that Islam is a false religion. Thus, if someone claiming to be the Twelfth Imam emerged on the scene in the Middle East, he wouldn’t actually be the true messiah. Rather, he would be a false messiah. I can’t say whether this will happen, but the Bible indicates that it could happen. The Lord Jesus warned in Matthew 24 that in the last days before His return we would see “wars and rumors of wars” as well as the rise of “false messiahs.” In fact, Christ warned that the some false messiahs would come and would be able to do “great signs and wonders” in order to mislead as many people as possible, and even try to mislead Christians. 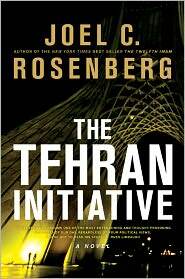 In The Tehran Initiative, I also explore a scenario in which an American President puts enormous pressure on an Israeli Prime Minister not to launch a preemptive military strike against Iran’s nuclear facilities, but the Israeli leader launches the war anyway. I’m getting a lot of emails and Twitter messsages from people who have read the book and feel like it’s ripped from today’s headlines. What’s more, they wonder what else in the novel might come true — especially the various Biblical prophecies that I refer to — given how realistic the novel feels. If you haven’t read these books, I think you might find them interesting right now. They’re both in paperback now at all general and Christian bookstores. They’re also out in e-book formats, like on Amazon’s Kindle and Barnes & Noble’s Nook. Most importantly, please pray for the peace of Jerusalem (Psalm 122:6). Please also pray for peace for everyone in the epicenter. After all, the Lord Jesus said, “Blessed are the peacemakers.” (Matthew 5:9). We don’t want the mullahs in Tehran to acquire nuclear weapons, but we would be so grateful if the Lord neutralized the Iranian nuclear threat in any way other than war. That said, if the Lord does allow war to come for His own sovereign reasons, then let’s be praying faithfully for all the followers of Jesus in the region to be bold and courageous in such hard times. Please pray, too, for The Joshua Fund and other Christian ministries to be as prepared as possible and to have the wisdom and courage to serve the victims of war and terror with the love and compassion of Christ Himself. Thank you so much and may the Lord truly bless you as you seek to be a blessing to the people of the Middle East in the name of Jesus. « DID GOD REJECT JEWS AND ISRAEL? What is replacement theology & why is it flawed, and even dangerous?